Join the KJZZ Movie Club by becoming a Sustaining Member who gives $10 a month or more to the station. 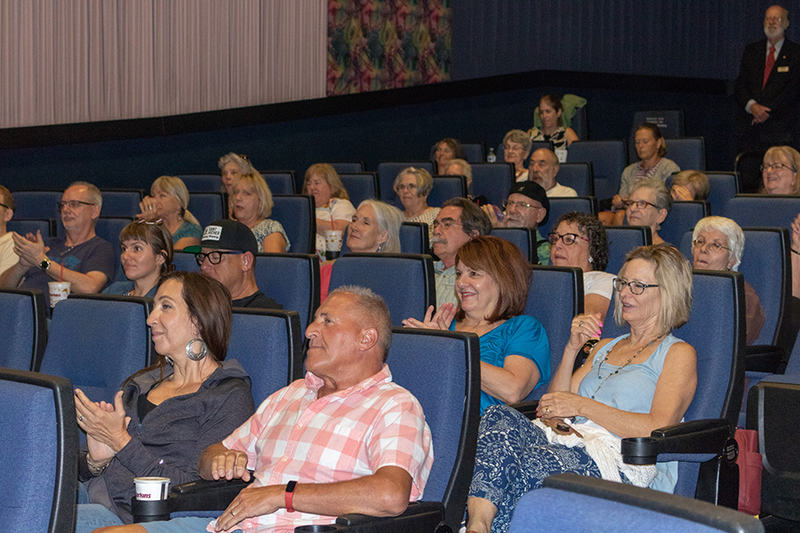 When you belong to the KJZZ Movie Club, you’ll join a group of public radio supporters who enjoy unique offers to attend movie debuts, exclusive screenings, and film festival events. Each month we give away tickets to movies showing at our theater partners across the Valley. Each month, Alamo Drafthouse Cinema Tempe and Harkins Theatres Shea in Scottsdale reserve an entire theater just for the KJZZ Movie Club, so be sure you check your email to enter drawings for tickets to these screenings. K-BACH on-air announcer Matt Rogers hosts Reel Music on Saturdays at 6:00 p.m. on 89.5 FM and online at KBACH.org, sharing cinema’s best film scores. You can also get your film score fix weekday afternoons with the Score at Four, when K-BACH host Jon Town plays a favorite theme from the movies.